← The list of chores I already know won’t get done. It was just a couple of weeks ago that I made a snarky remark about how we’re still waiting for the predicted “worst winter in 20 years”. Well, my patience was rewarded; last week saw snow, record-breaking wind chills and arctic outflow warnings. This entry was posted in gardening, organic, urban farming and tagged snow, winter, winter gardening. Bookmark the permalink. LOL 🙂 That’s a beautiful shot. 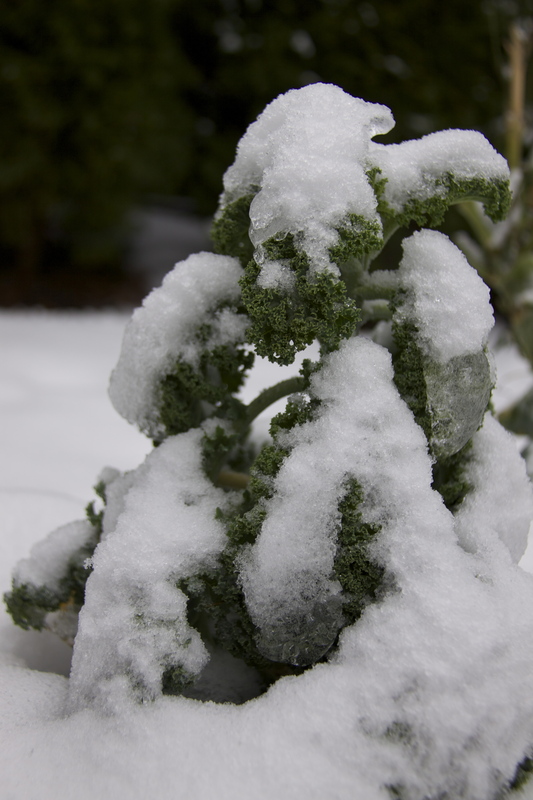 I thought it was a tree or a bush covered in snow, not a little bunch of kale! What kind of camera do you use? Hi Jasmine-thanks for the note. I shoot on a Canon EOS 50D; it seems to do the trick. Thanks for visiting!